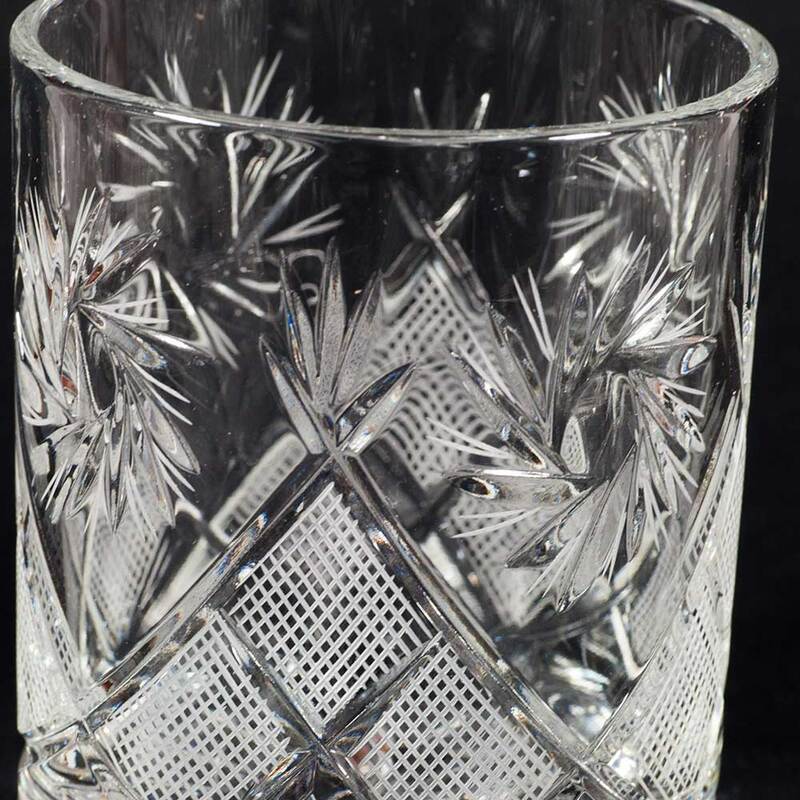 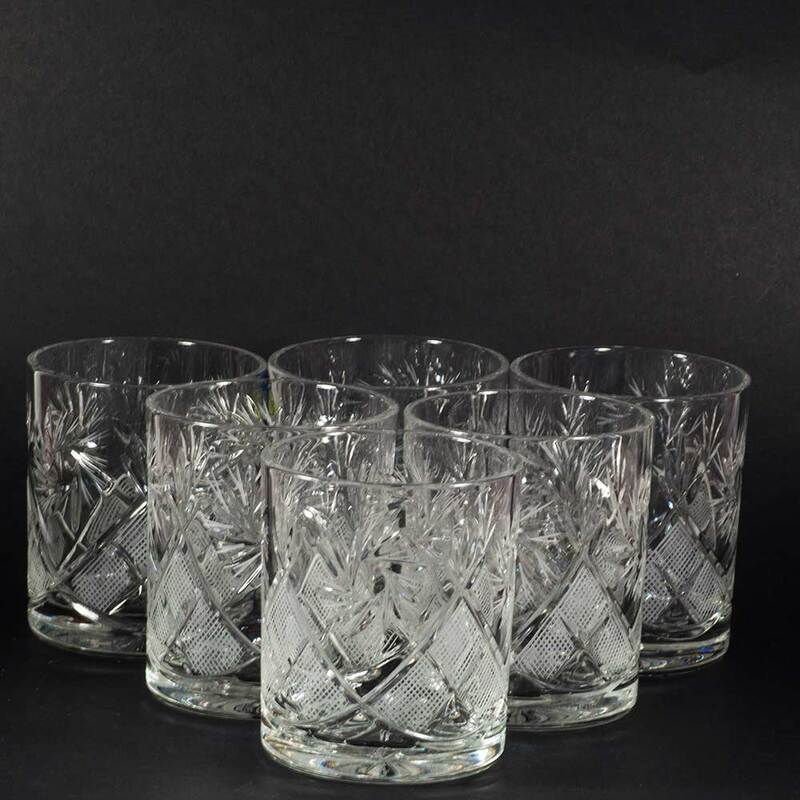 Crystal Glass 330 ml for Whiskey 6 pcs. 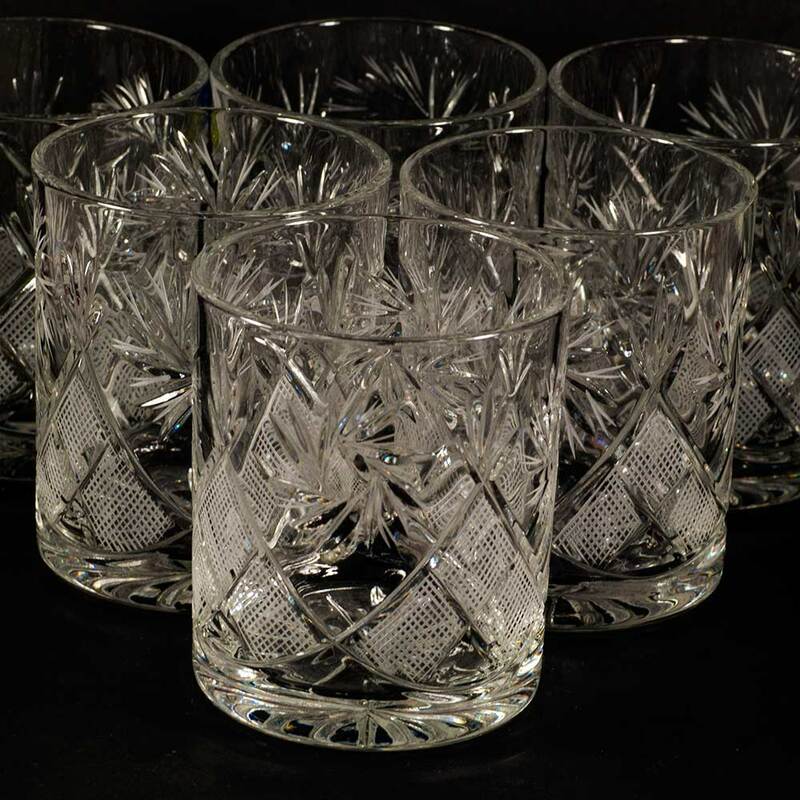 set of Russian cut crystal hand-made shot glasses 330 ml - 11 oz. 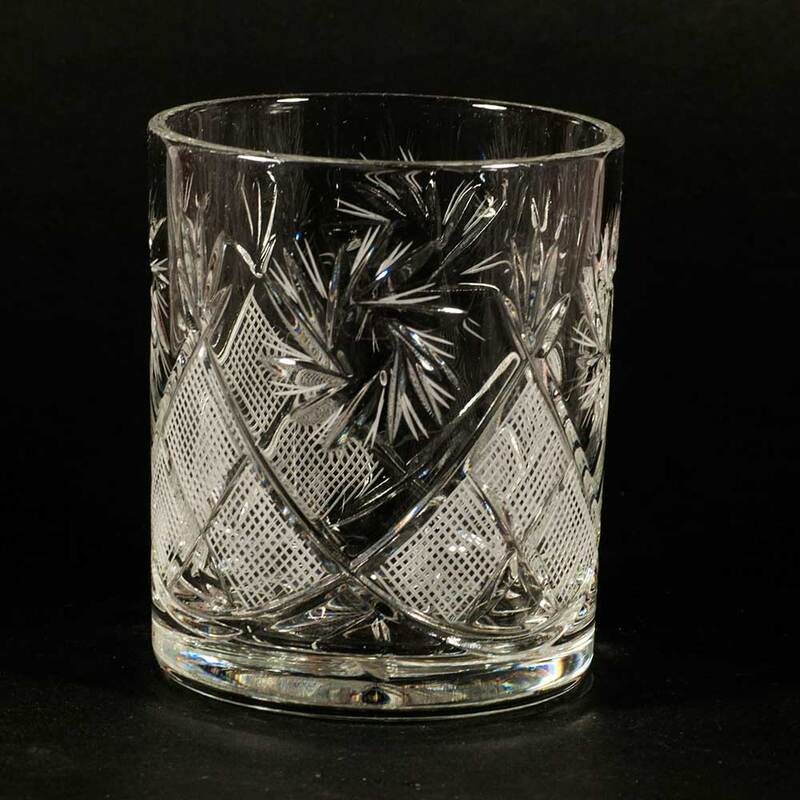 10 cm/4" tall. 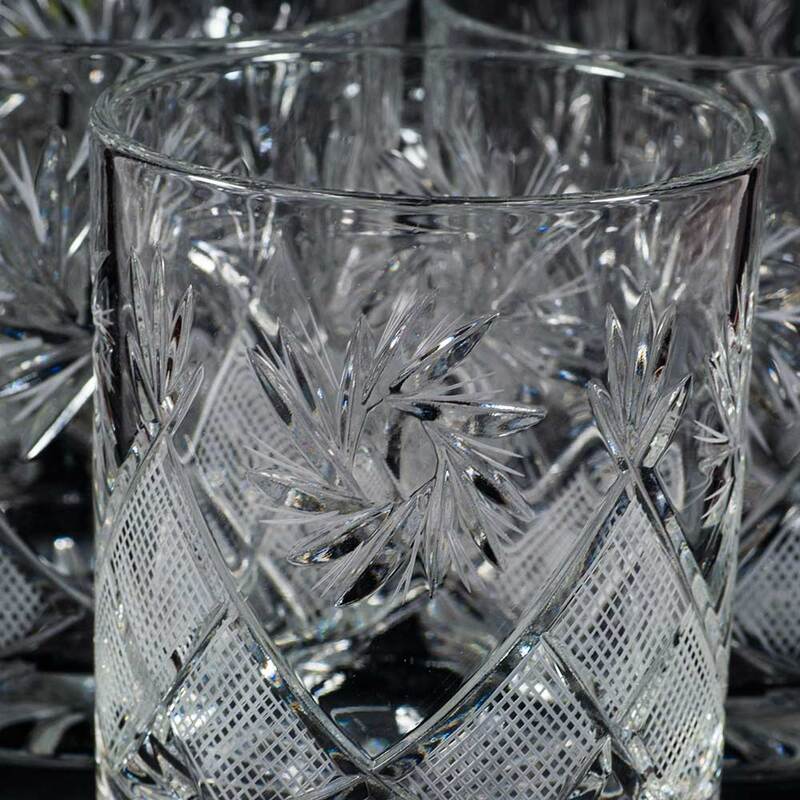 The glasses are made at the factory "Neman" which has old traditions in glassware production and uses modern advanced technologies. 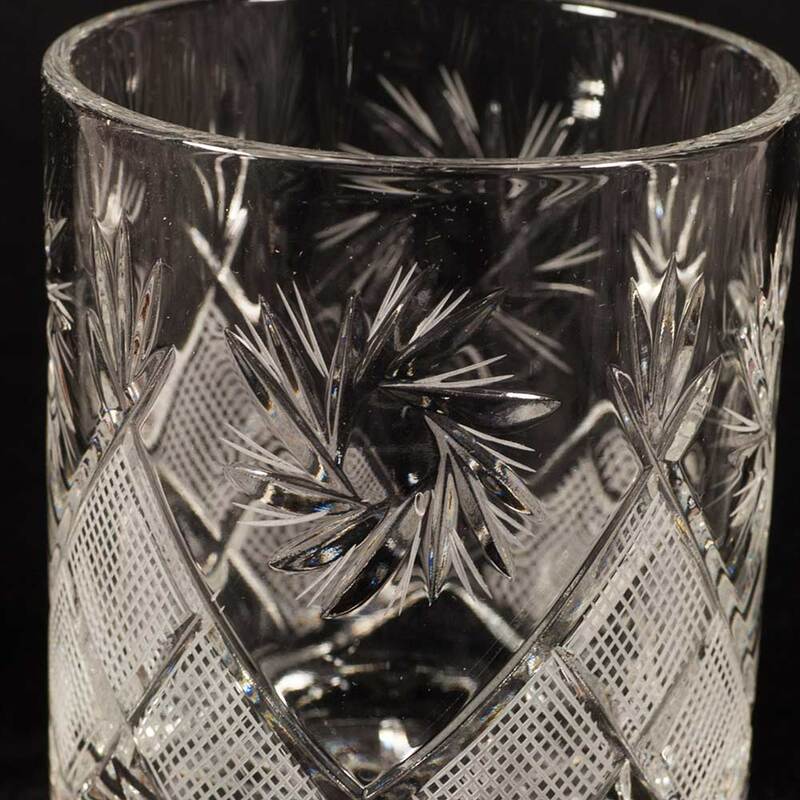 The factory was founded in the end of 19 century and till this time continues to produce wide range of glassware of different designs, size and themes.